The next issue of Entertainment Weekly is giving itself over to Twilight. 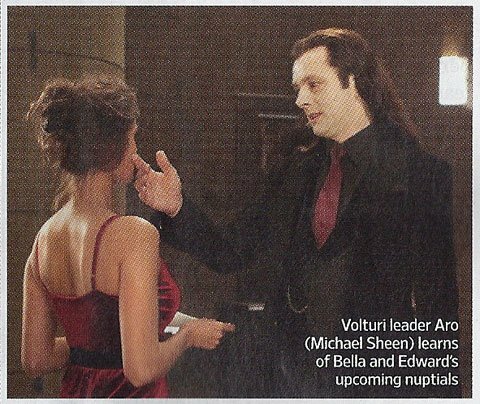 Yesterday we brought you the first three ever Twilight: Breaking Dawn photos which will debut in larger format there, and now we have four more. If you missed the first three images from yesterday, check those out right here.